The end of the year is coming closer and closer. Therefore we want to catch the opportunity and thank all our clients and partners for the trust they put in us. The year 2015 was an outstanding year for us, a year full of action. We have realized a new sales record as in the three calendar years before. Furthermore we have integrated new functions, e.g. the multiposting for job advertisements, CV parsing or also the JobWidget. 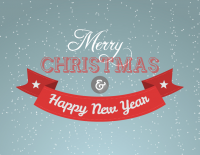 We wish you a great holiday season and a happy and successful year 2016!